Tactilcal Vests for grid-downI had to write about something gun oriented and thought “tactical vests” would be a great subject on this overcast slightly rainy morning. Picks up my mood a lot. This is going to be a multi-part series covering a lot of ground. Hang in there and enjoy a whole bunch of information and some cool pictures. That being the case, let me share a few thoughts with you about tactical vests. 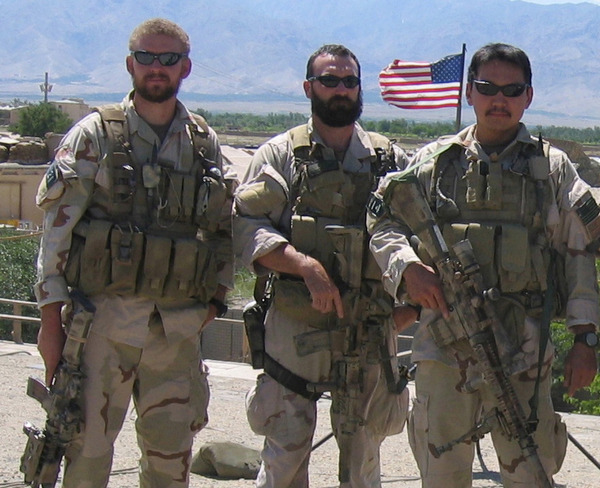 Many of you that will read this article will have seen military service, maybe even combat. There are also some current and retired law enforcement folks that will read this article as well. I probably can’t “teach” you anything new but let me share some thoughts and ideas that you might find helpful or useful in the civilian implementation of a tactical vest. 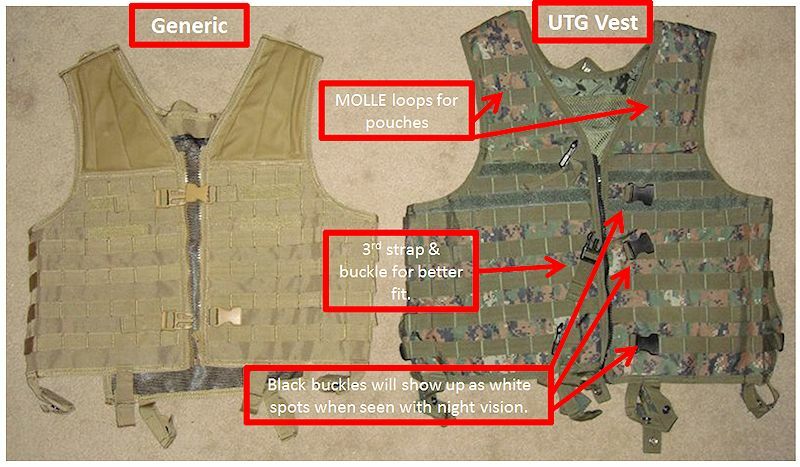 Let’s talk about the reason for a tactical vest, then I will go into defining its mission. Reasoning behind a tactical vest can be a little daunting to some folks, especially wives. Most wives will look at a tactical vest and probably snicker. If not an outright snicker, they will be thinking, “boys and their toys” and then smirk. So I will sidestep all of that discussion and talk about the harsh realities of the basis of this scenario. That being assumed, you have to have the support gear and equipment for that AR or it becomes nothing more than a club. And you have to have certain other pieces of equipment to mitigate the other situations, needs and threats you will face it this scenario. 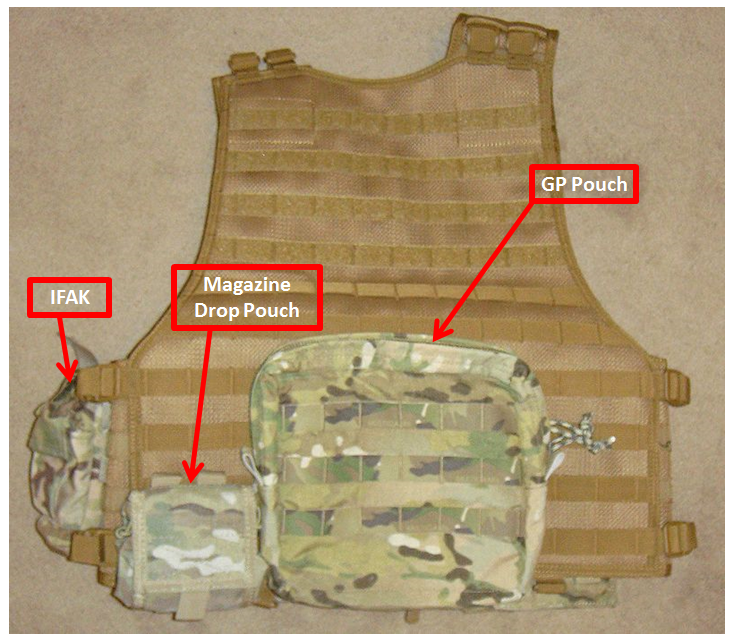 Your tactical vest must have the right “stuff” to help mitigate those threats. Not the only mitigation, but the vest plays a role in this effort. Everything must be geared towards that overall goal. A carrying system capable of containing and transporting sufficient and appropriate gear and equipment to support a tactical engagement by a single individual. The very first thing…comfort! The vest has to be comfortable when you wear it. That means the weight is distributed across the torso, especially the shoulders, in such a way that it is comfortable to wear for hours at a time, walking long distances, and during shoot and scoots. All buckles, latches, etc. must be able to operate with gloved hands with minimal manipulation. 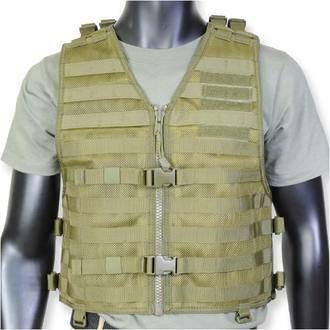 The vest must be able to work in conjunction with soft body armor as well as ballistic plates. The material must be heavy-duty and able to withstand constant use in harsh environments. The design/pattern of the material must not make the individual unduly noticeable. And, as much as possible, allow the individual as much concealment capability as possible. Each pouch must be minimalist and gear specific. No armor is worn. For a variety of reason a person doesn’t wear their body armor. Their tactical vest still needs to be fully capable of meeting the mission as defined. So the tactical vest must be independent of any body armor. Soft body armor is worn. For a variety of reason a person may choose to only wear their soft body armor. The tactical vest must still be able to by fully functional in compliance with the defined mission. 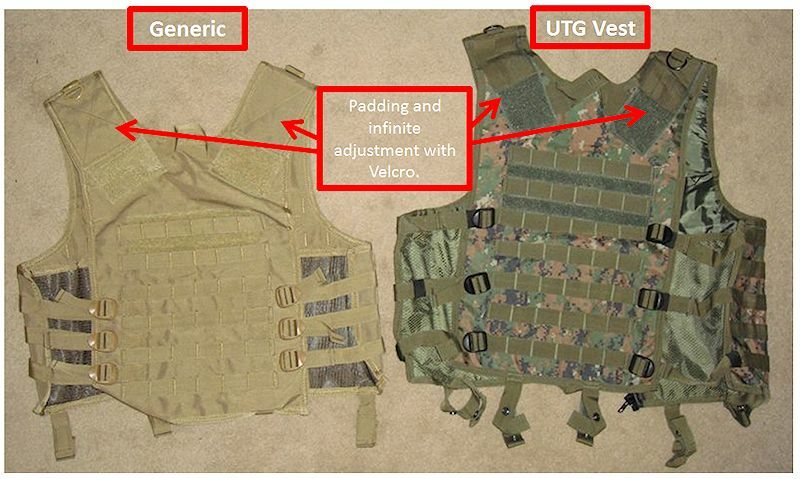 So the tactical vest must be independent of any body armor but completely compatible with soft body armor. Ballistic plate body armor is worn with soft body armor. For a variety of reasons a person may choose to wear their soft body armor under their ballistic plate body armor for maximum protection. The tactical vest must be compatible with this option. While not interfering with either layer of the body armor. Only the ballistic plate body armor is worn. For a variety of reasons a person may choose to wear only their ballistic plate body armor. The tactical vest must be compatible with this option. 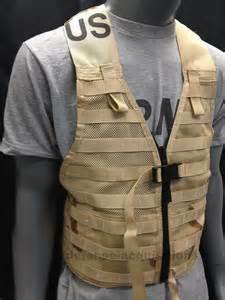 OK, now that I laid that out, you get the idea of what I think is an ideal body armor concept for “grid-down” situation; 1) you may not wear any, 2) you might only wear soft armor, 3) you wear soft armor under the ballistic plate(s), or 4) you wear ballistic plate(s) only. The only way that all works is a vest that is independent of any body armor and has the capability to be worn over all of it. Did I explain that well enough? 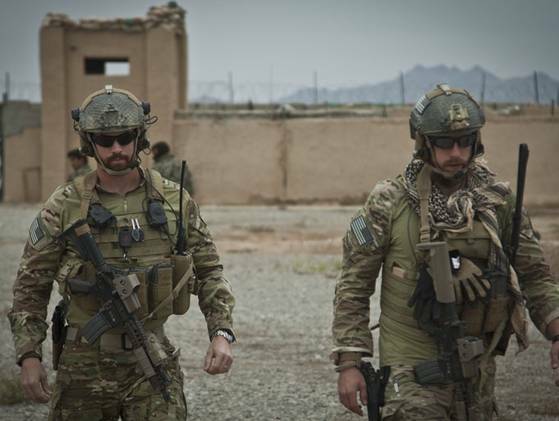 I am sure there are some combat veterans out there that believe that hard armor should be worn all of the time. Some may not have worn, or not believe in, body armor for any number of reasons. I think there are so many different situations where different levels of protection are appropriate and/or needed. 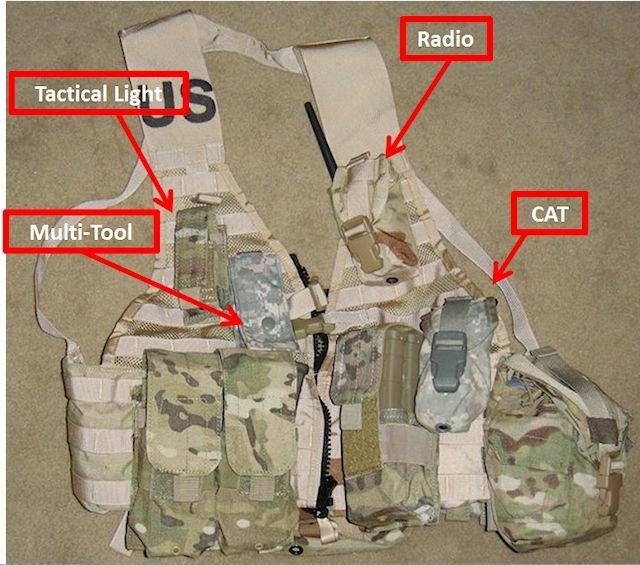 My point is – The tactical vest needs to be compatible with all the scenarios. 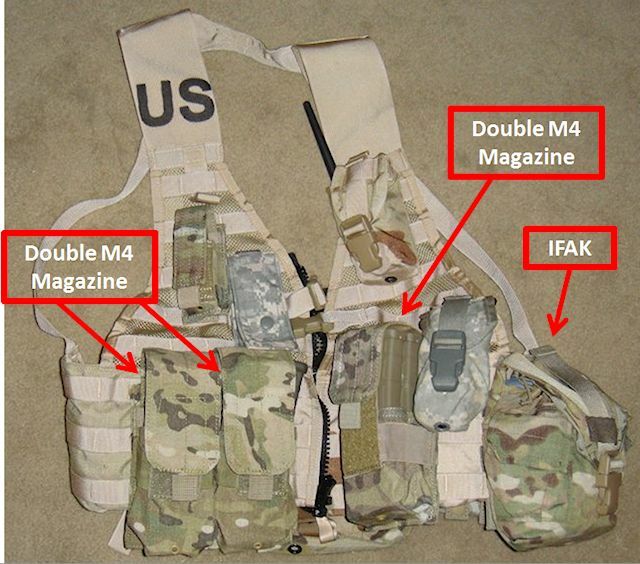 I bought a basic tactical vest (Fighting Load Carrier – FLC) as seen in the picture to the right. I then purchased a whole host of other tactical vests. I figured those that didn’t meet my needs I would sell later on eBay for just about the same, maybe more, than I paid for them. 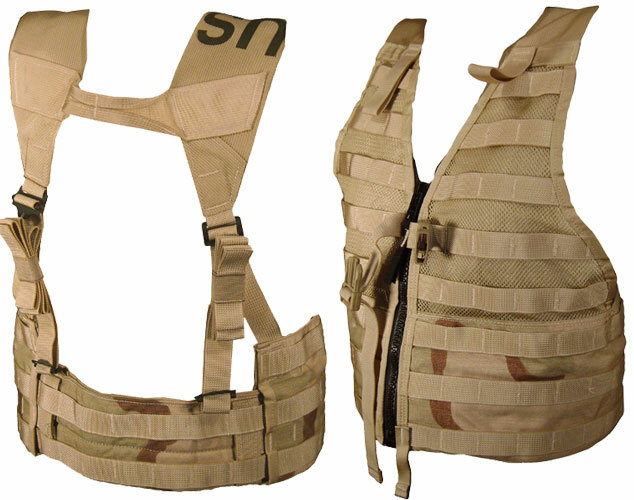 Let me start out by saying that there are whole lot of quality comfortable tactical vest out on the market. And, there is a bunch of cheaply made vests trying to hook in folks on the budget end of the buying spectrum. Don’t get fooled, take your time, buy the quality stuff. Quality doesn’t necessarily mean expensive. I could spend a whole lot of time going into each vest and what I liked and didn’t like about each. But I would rather just tell you which one I decided on, why and how I rig it up. I think our time would be better spent doing that. 1 – The vest. 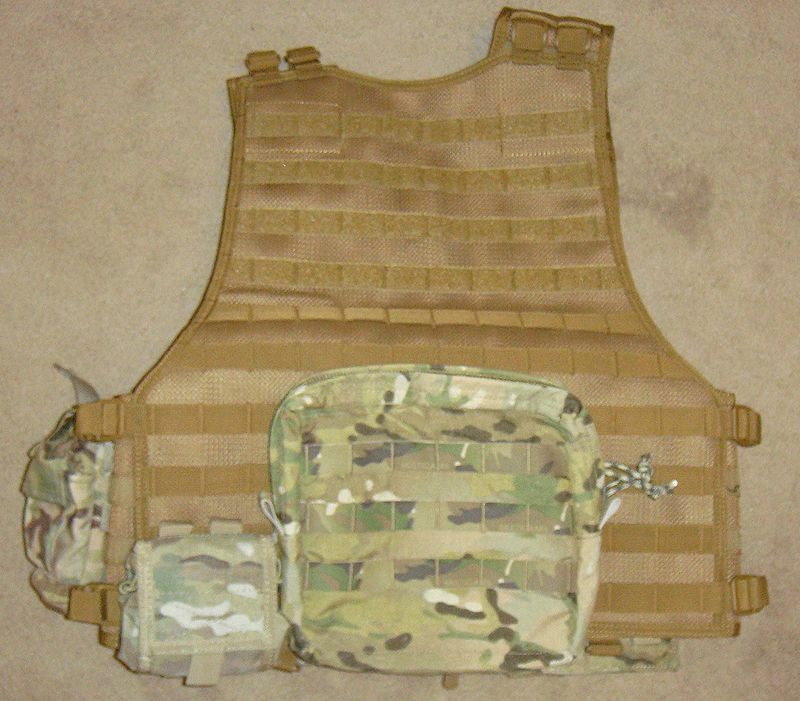 I decided on a military surplus FLC (fighting load carrier) vest option . They were a combination of economical, high-quality, durable, and flexible in design. 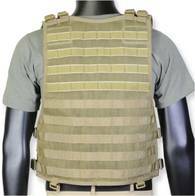 This style of vest also works well with body TactilcalVests-07armor, hard & soft. There are plenty of MOLLE loops for arranging pouches. The buckles are large and can be operated with gloved hands. Same is true for the Zipper. I tried a non-zippered version and found that it didn’t keep the vest as stable on my torso as I liked. The zipper version gives you that extra stability. But, in a hurry you can just use the buckle to keep it place if you just threw in on and are running for your position. I also liked the “mesh” of the material. Here is the desert southwest it gets hot as you might guess. Allowing some air movement around your torso is critical to avoid overheating. Even if I lived in snow country I would still use the mesh material. Clothes are design and intended for warmth, not your tactical vest. While many vests have a back panel built into their vest, I like the military version that doesn’t. 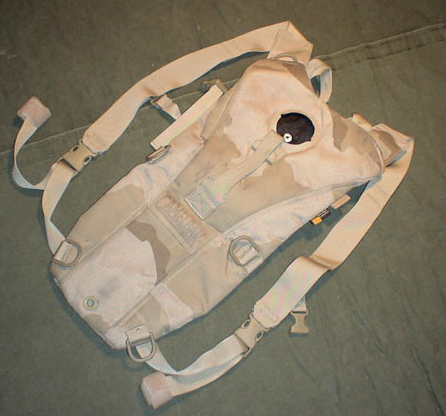 The vests with the back panel normally use the panel to support a CamelBak bladder. I understand that, and at first glance it makes sense. But then the more I looked at it, there was so much wasted material on the panel and that added up to heat CamelBak carrier desert three-color tri-color 3-colorretention. 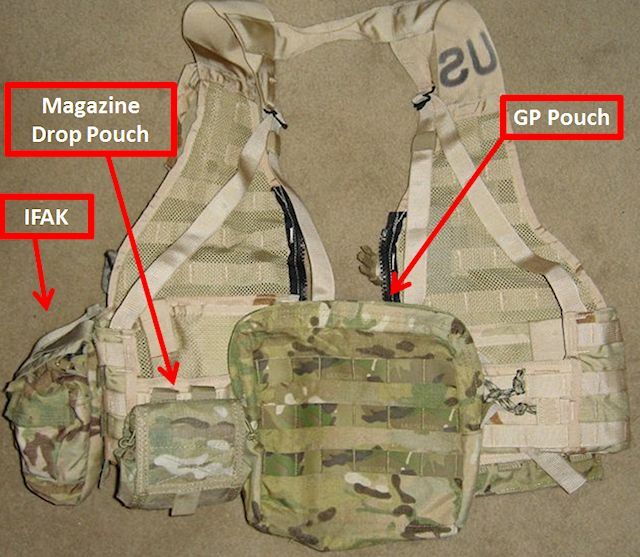 So I like the idea of no back to the vest but then using a CamalBak carrier for the bladder. See the picture. The additional value is the stand-alone CamelBak can be used independently from the vest which is a nice option to have for all those non-grid-down times. But not to worry, I am going to show a variety of vests so you can get a solid basis of comparison of the different styles. Most of you know about the “drag handle” on the back of the vest, if not…well, there is a drag handle on the upper back part of the FLC vest. It can be used to drag your fallen buddy to cover. Or it can be used to hang up the vest next to your bed, or action station when you are not wearing it. The many straps allow you to adjust it to fit your body style/shape and waist size. In part two I will explain how to adjust the different aspects of the vest. 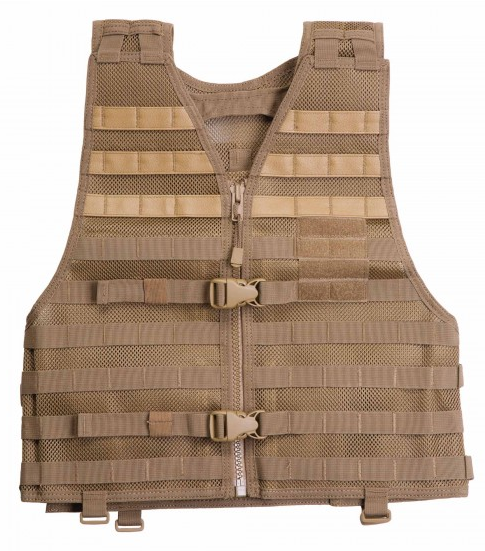 A completely different style than the FLC is the 5.11 VTAC LBE Tactical Vest. This vest is an awesome option and well worth considering if you like this style of vest. The VTAC load bearing vest is built from stiffened mesh nylon that provides outstanding structure and resilience while remaining lightweight and breathable. Hidden document pockets at the chest offer additional covert storage, girth and length adjustments ensure a perfect fit, and a hidden grab handle facilitates emergency exfiltration. The vest also has hidden document pockets, a hydration pocket at rear and is adjustable in girth and length. The vest is made with high impact fastening clips and quality zippers. Can we talk colors for a minute? I am referring to the color of the tactical vest you are going to buy and use. There are some basic colors of vest on the market today. 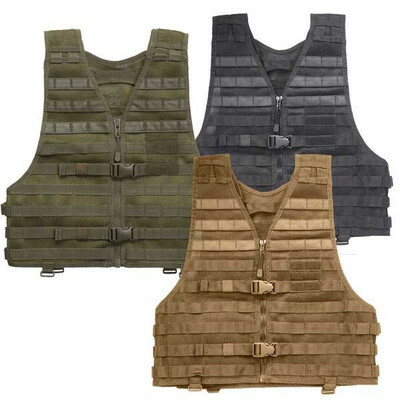 Generally, they are green, flat different colors of tactical vests.dark earth, and black. Flat dark earth is generally best for more arid areas such as the sandbox or the desert southwest and grass lands. Green is generally the better color for timber and jungle country. Black is never good! 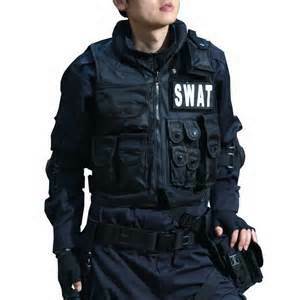 Well, if you are some SWAT god (at least in your own mind) you want to try and look cool and look intimidating so you wear all black. Yeah, go ahead…sounds good to me. However, if you are anybody with an ounce of brains in your head you never want to wear black. Black stands out in EVERY environment like a beacon asking everyone to please look at me. Even at night the black vest presents a “blob” of black to the naked eye. But look around you, the night, although dark, isn’t all pitch black. And if someone has even the most basic of night vision device your black vest will look like a bright spot light begging to be shot at. And FLIR also does a great job of showing black as a distinctly identifiable image. Find the best “background” color for your area (flat dark earth or green) and then use pouches to bring the concealment (camouflage) effect to your vest. Some tactical vest come in a camouflage pattern as well and may well be worth a look if that will fit your needs better. 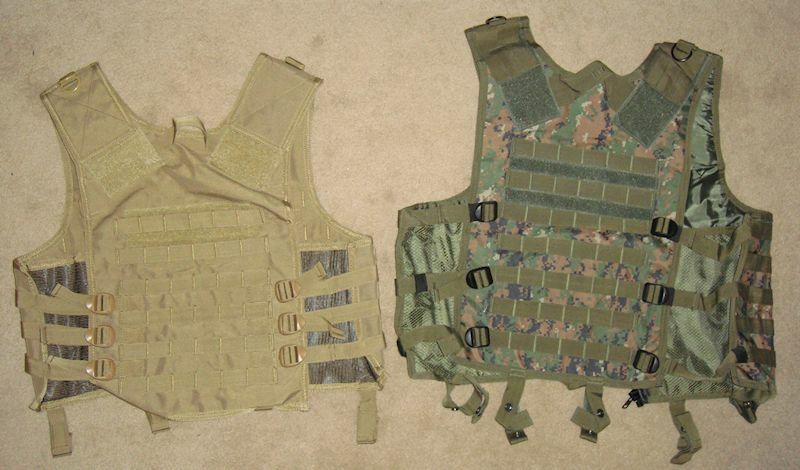 TactilcalVests-65TactilcalVests-66TactilcalVests-63I hope you’ve found some solid information on different styles of tactical vests. There are a lot of options out there, some far better than others. 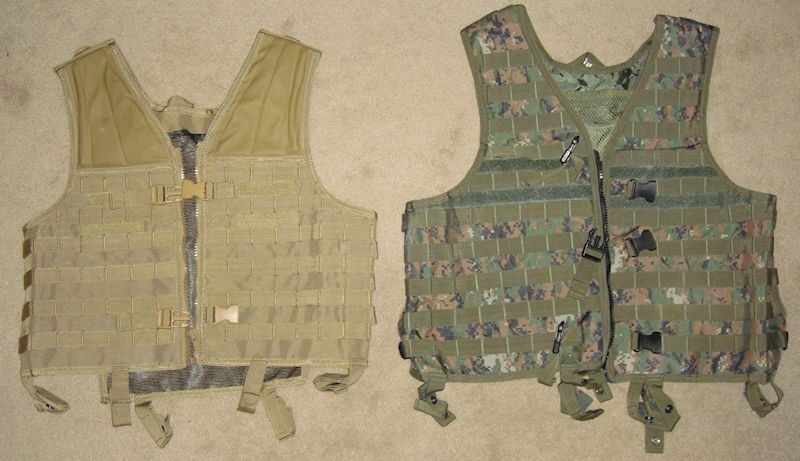 Vest, like most tactical gear, is a matter of personal preference. Find the one that works best for you. TIP: Once you find your vest…wear it, training in it, and get really used to it. You don’t want to be on the weak side of the training curve when times are already tough. 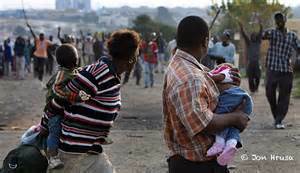 Protect yourself, your family and your group from violence. Supplies sufficient to treat your wounds and injuries. 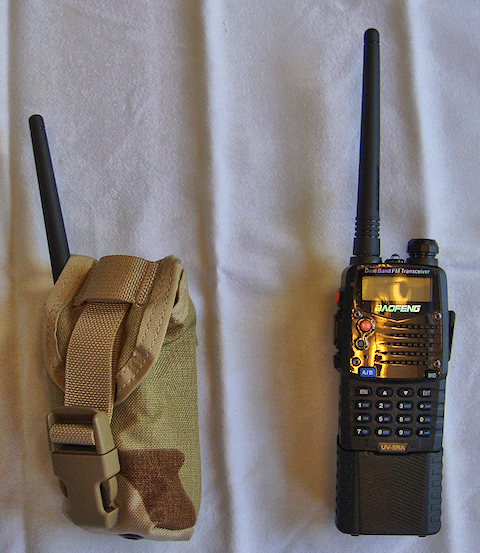 Capability to securely hold a radio. Capability to hold a day’s worth of water plus the capacity to purify a minimum of 3-days of water. Capability to avoid exposure problems. Capacity to carry minimal food. The above outline covers all the primary threats you will face and meet the priorities of the situation, more commonly referred to as L.I.P.S. So let’s now talk specifics as far as pouches go. I will discuss each pouch in priority order so you will know which ones to acquire first. That will prioritize your budgeting and spending. Magazine pouches. Yup, that is the first priority. Why? Duh! You have to be able to defend against the threat of violence. That takes a weapon, such as an AR. And an AR needs bullets. Bullets are stored in magazines and those magazines need a place to live. Hence, magazine pouches. I am sure everyone has their personal preference when it comes to magazine pouches but let me explain my choice and rationale. I use Magpul PMAG magazines because I think they are the strongest and most reliable magazines available today. When you load the 30-round magazine with 28 rounds of NATO M855 or M193, those mags start to get a little heavy. Most people want to have a lot of ammo on them but quickly realize that the weight is a bit much. So I use a pouch that can meet in the middle. independent of the other with its own retention system. Why is that important? Two reasons; 1) you always want your gear “tight” and stable, 2) you may not always want to carry a full battle load of ammo on you. magazines that is 224 rounds of ammo on your vest. That is great for a drawn-out firefight, really great. But that also weighs in at 8 total pounds. That is a lot to be hauling around all of the time in addition to the rest of your gear. So let’s say you are around camp, not going anywhere, but still want your vest on; maybe guard duty. It is a whole lot more comfortable only carrying half of the ammo load. These pouches are set-up to do just that and still hold the pouches securely in place. You may be about to ask me where are the pistol mag pouches. Sorry, not on the vest. I believe the right place for a pistol magazine is on the pistol belt with the pistol. I think that the pistol belt and tactical vest are different creatures, designed for different missions/purposes. I don’t mix the two. How many magazine pouches? Well, in my opinion that depends on the physical capability of the person wearing the vest. I can carry 6 mags normally, 10 mags if I have to, but that would destroy my wife physically. Her vest is set-up for only 4 mags which is what she can realistically carry. Yes; 1) my wife has her own tactical vest, 2) and I might have to share my mags with her. I am OK with that. So, think about the weight. I would suggest that you go with the lower end of the weight range first. You can always add another mag pouch later when you get used to your gear and the weight. Next is covering the medical injury and wound priorities. I go at it in two different ways, immediate and slightly less immediate. The immediate is covered by a CAT (Combat Application Tourniquet) that I keep in a flash-bang grenade pouch on my weak-side area near my IFAK (Individual First Aid Kit). Weak side so I can reach it with my normal hand (strong side) and manipulate it. I make sure that the CAT won’t interfere with my off-shoulder shooting needs. And let me tell you, if I am having to shoot off-shoulder I have bigger problems to worry about other than my CAT placement. Next is my IFAK (Individual First Aid Kit) pouch with contents. Remember, my blowout kit (BOK) is in the cargo pocket of my pants. I placed the IFAK in a position that I can get to with either hand but it is out of the way of my shooting and normal positions when walking, kneeling, etc. 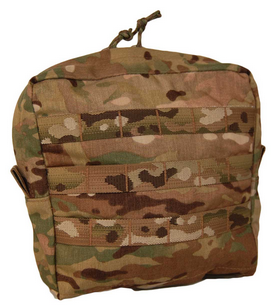 The IFAK pouch is standard military canteen cover. I choose this particular pouch due to its perfect size for the IFAK. Some might think that the IFAK is a little large. And you might be right. I designed the IFAK to meet the mission that I saw for a wide range of emergencies, disasters, and grid-down situations. In those situations normal medical care, or even emergency medical care, may be hours away…or not available at all. So the IFAK had to handle a multi-sized mission. So the three biggest priorities (ammo, communication, first aid) are out of the way…I can relax just a bit. Remember, I am a big advocate of communications. It is the #1 common denominator in fatal and near-fatal wildland fire accidents. Many folks that I talk to that are, or have been, in the military says it’s the same thing there as well. Matches up to my experience in the military decades ago. That adds up to a radio carried on the vest as a necessity. 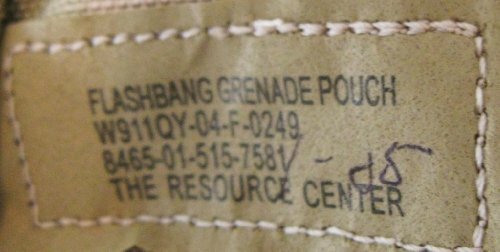 One note that I think is important…notice the top flap on the flash-bang grenade pouch? 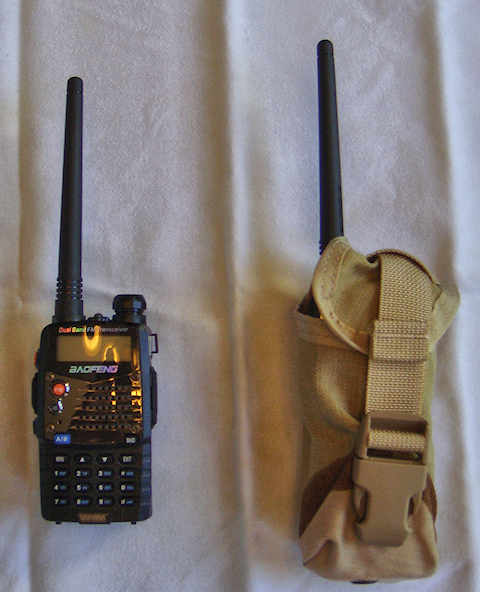 Notice how it folds over the top of the Baofeng radio? That is a good thing! The Baofeng UV-5RA radio is not weather-proof, rain-proof, etc. It is however, a piece of electronic gear. So the more protection you can give it the better. 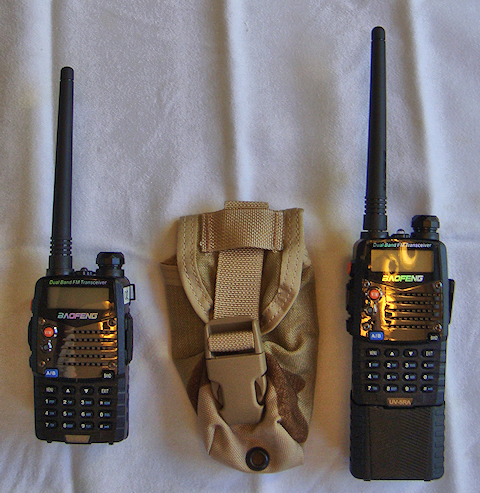 The Yaesu and the Motorola are a little more resistant to rain and weather so a more open radio pouch is acceptable with those radios. But I believe that the more protection the better. Just something to think about. I like Magpul magazines for reasons I have already told you. And I have worked hard over the years to acquire a sufficient supply of them for my own use. But, if while I am doing a mag swap in the middle of a firefight and just leaved them on the ground and run off…How long will I have any magazines left to use? 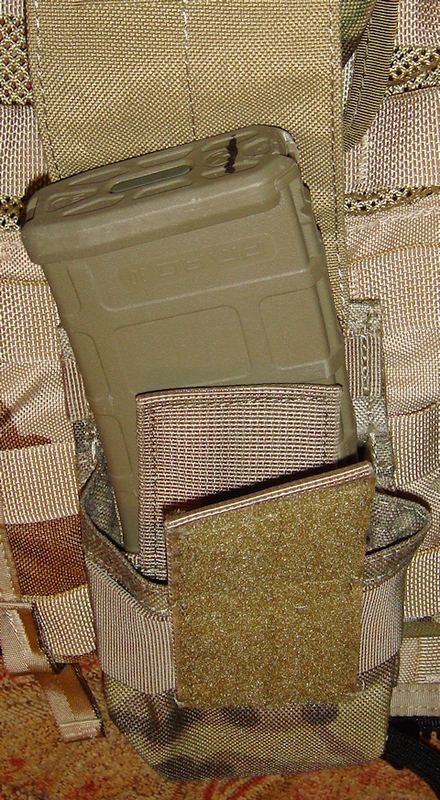 Solution…a magazine drop pouch. 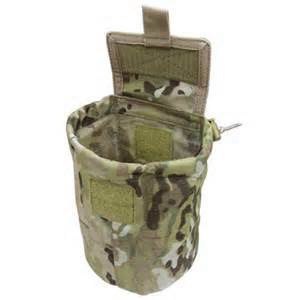 This pouch is designed to accept empty, pr partially empty, magazines during a mag swap. The pouch stays nicely rolled up and out of the way when not in use. But expands nicely to accept six magazines.I like the Condor roll-up mag drop pouch (MA36-008 : Roll – Up Utility Pouch – MultiCam). 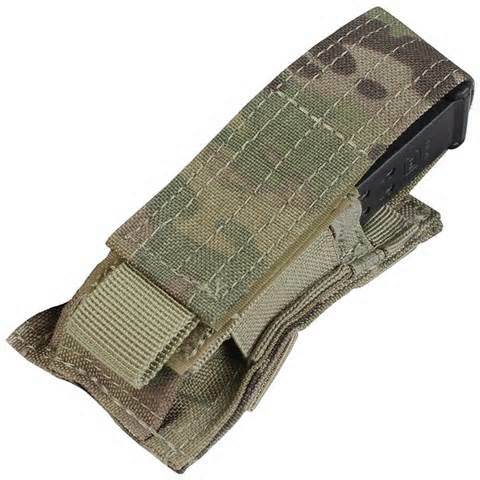 Genuine Crye precision multiCam, holds six M4 30-round magazines vertically. Folded up: 5″H x 4.5″W Open: 8.5″H x 8″W. Word of caution – Only use the magazine drop pouch if it isn’t going to get you killed. May sound funny, but I am serious. Using a drop pouch will take you more time during a mag swap, especially on the first swap where you have to unfold – unroll the pouch. 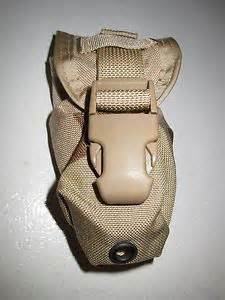 I would strongly suggest getting familiar with using a mag drop pouch by doing dry runs with it and integrating it into your live fire training. Remember, it is important to keep lead going down range. If using the drop pouch keeps you from doing that to the point of jeopardizing your life, or that of your battle buddy, then don’t use it. But you may want to work on an idea or plan on how to not leave your magazines laying all over the ground for the other guy to scavenge. Tactical light pouch. 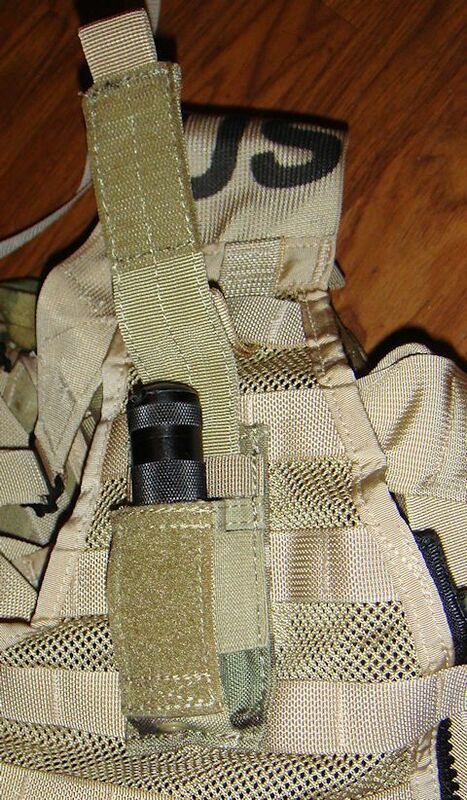 The tactical light pouch that I use is the single pistol magazine pouch for my LED Lenser tactical light. 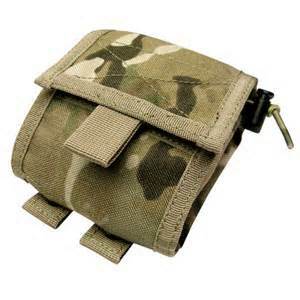 The single pistol mag pouch is the perfect size to hold it securely. I place it on my strong-side so I can grab it with my weak-side hand. 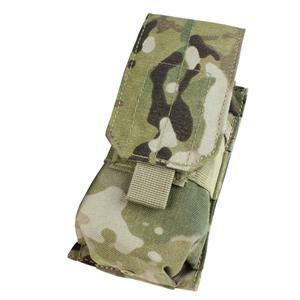 I like the Condor single Pistol Magazine Pouch (MA32-008: Single Pistol Mag Pouch – MultiCam), 4″H x 2.5″W x 1″D. Multi-tool pouch. I almost didn’t include this on my tactical vest. But I have such high regard for a multi-tool that I just had to make a place for it. Nice thing is…it takes the same single pistol magazine pouch that my tactical light uses. So you can use a double, side-by-side, pistol magazine pouch if you want to. I like them separate to give me a little more flexibility on placement. Finally, a small gear pouch. I started out with this pouch as an “optional” pouch. But then I quickly realized that there is some gear that you just need to take with you, it doesn’t have to be much of the little gear, but there are some things you might find as a necessity. 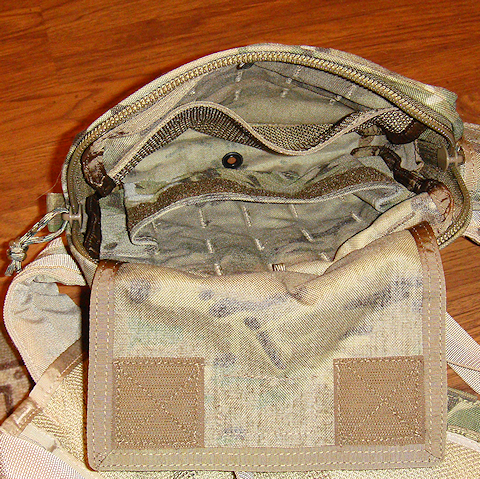 I use an ATS Tactical large GP pouch in Multicam (9″H x 8″W x 3″D). View: looking down through the top, into the pouch. The pouch closes with double slider, 550 zipper pulls on YKK #10 coil zippers; the best zipper available. It opens more than half way for easy access to the contents without spillage. It has an interior pocket with Velcro closure as well as an open top mesh pocket on the opposite, outside wall of the pouch. The interior of the pouch is finished out with a pair of 550 cord loop tie-down points to secure sensitive or high-value items. This pouch is constructed from 500 denier abrasion and water-resistant Cordura nylon to reduce weight while maintaining strength and abrasion resistance. And this last pouch is truly an “optional” decision in my opinion, I can make a good case for it either way. 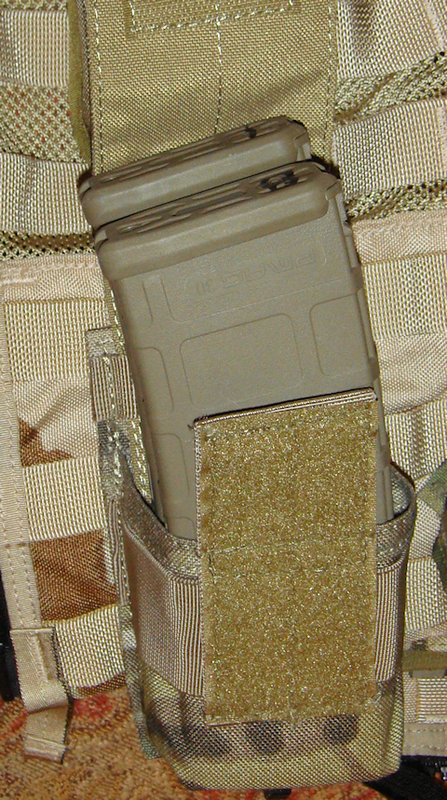 It is a spare magazine pouch, a single 30-round mag pouch. But it is placed on the back of your vest somewhere accessible to the person behind you. “What?? ?” you ask. So you are in this hellish firefight and your battle buddy runs out of ammo. Now what? He is hollering at you to throw him a mag but you are busy keeping the bad-guy’s heads down like you are supposed to when your team mate is trying to reload. But he can’t reload because he is out of ammo. Oooppppssss! But don’t fear, you have a single mag on the back of your gear that he can grab without you having to break your rate of fire and fumble around getting him a mag while stopping all lead from going down range. He can just come up behind you and grab that mag. And at that point you have the conversation that it is time to implement that tactical withdrawal plan. It is really a kind of cool idea and I have trained with it before. It can make a difference. But it is entirely up to you and whether it fits into your operational tempo or not. 1 – Use high quality items. Lightweight, cheap stitching, poor Velcro are examples of materials that will fail you. You are always safe with Milspec (or better). Always keep the same use pouches in the same place. Radio pouch always in the same place, magazine pouches always in the same place, first aid kit (FAK) always in the same place. If you don’t need a GPS then leave that pouch empty. Then when a mission requires a GPS then put it into that pouch. If you are in a LP or OP (on guard duty) those positions should have prepositioned magazines already there so you don’t have to use the mags on your vest. 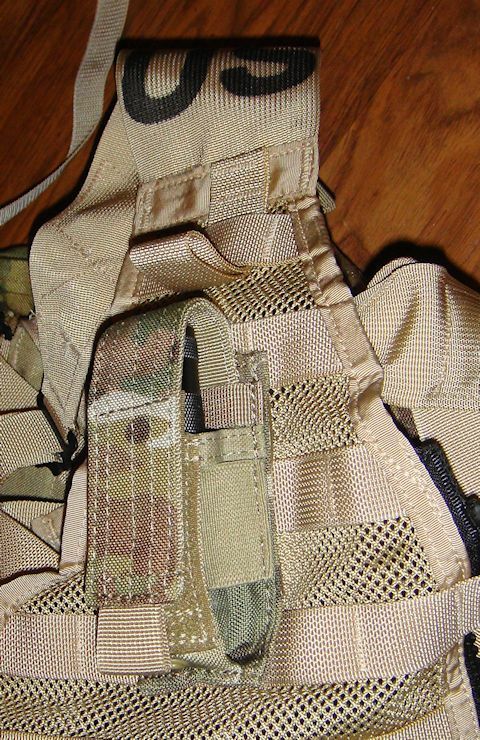 To save weight on your vest while on guard duty you can place a single mag in each pouch vs. two…if you want to. Use your general purpose pouch for equipment/gear you need to swap out based on mission specific needs. 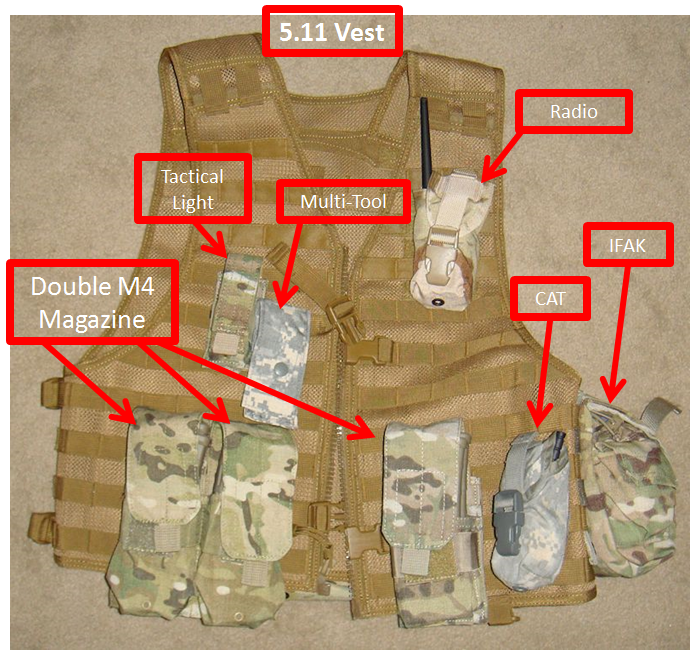 3 – NEVER combine your tactical vest and your plate carrier! Plates are heavy, you may not need them all of the time when you do need your vest. 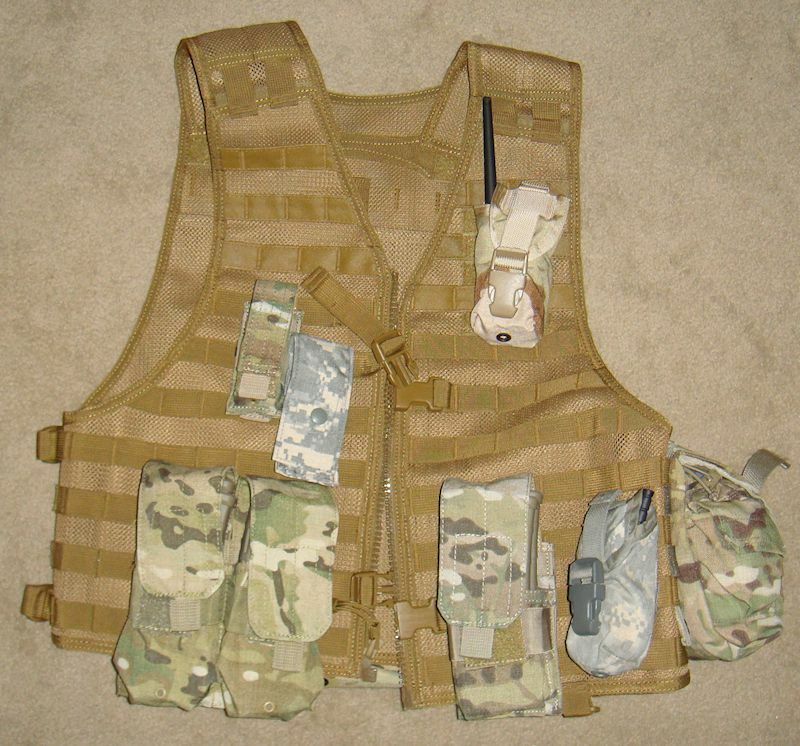 Your place carrier should be a separate item that is worn under your vest. 4 – NEVER put a pistol holster on your vest! It can be one of the most awkward places to retrieve a pistol from…and maybe the slowest. I prefer a thigh rig but that is just me. If you are in a vehicle and need quick access to a pistol then mount a retention holster under the steering column and use a second pistol there. But always keep your primary pistol on you in the same position that you always do. Think muscle memory! 5 – Your FAK (first aid kit) is different that your BOK (blow out kit). Keep your FAK on your vest and your BOK on your person (i.e. cargo pants pocket).